Hey there beautiful crafting friends! I hope that your weekend was relaxing, and that you enjoyed the Super Bowl, eating all those delicious snacks (that would be me! ), and all the fun ads. Even though I watched the super bowl, I've always been more of a paper-crafting fan, than a sports fan, so I wrote this post while watching the game! Today is an exciting day because it's the first day of a fun new series that I've developed. After the reader survey poll, (that's still open!) and your input on my facebook page, I learned that you beautiful readers loved the idea of a top ten series. 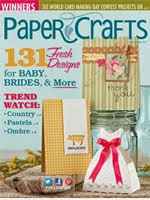 So, every month I'll feature a top ten list on a range of paper crafting topics that will get you talking and thinking. You can fist pump the air, with a "right on!" or you can tell me, "whatever! I love that technique." Feel free to chime in with your opinion! Were all friends! And, with that being said...Here's your top ten. Okay, okay, okay. I will admit it, I am a reformed Courier user. When I first started using it liked the way it looked, and it seemed to work for blogging. But, then I noticed it start making small appearances in paper crafting product. At first, I was like...eh, that's cool. But, then it took on the characteristic of a trendy shoe, and everyone wore it everywhere. 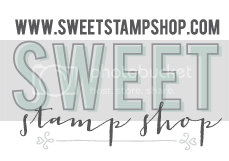 Every blog posts had it, packaging displayed it proudly, it was the go-to font for letter stickers and stamps, and I was overwhelmed. However, I learned an important lesson from Courier's infectious popularity---don't buy into trendy fonts too much. You may see a cute font make an appearance in paper crafting and design, but know that it has a shelf life. Stick to fonts that you like that are timeless, and fit your style. Don't just use a font because everyone uses it. Make your font selections in your crafting and blogging be true to your style and your brand. I seriously don't know. They're a great idea....a cute little decorative addition to pages to hold stuff together, but then crafters thought that was the only thing you could do with a brad. No way! You can do a ton of fun things with brads. Yes, the days of placing a brad in the each corner of a rectangle are over. And, yes, holding petals of a flower together with a brad center are totally passé. 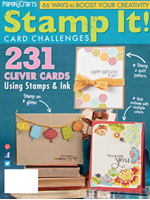 But, you can use this staple paper-crafting embellishment in a new way. Try using brads to add texture to a flat page. Think about clustering brads together to create a focal point, or you could even divide a layout with a line of brads. Don't dump this old friend like a worn-out shoe. You can bring new life to an old embellishment with some fresh ideas. 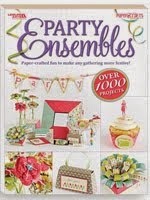 Maybe this trend started with the at-home scrapbook product selling parties, but it needs to end....like, now! In the days of digital die cutting, why are paper crafting goddesses still trimming paper blocks into scalloped mats of frou-frou-ness? Stop the madness!! There is no more trim, cut and repeat. Liven up those scissors by giving them a new purpose! Trim a spiral flower with scalloped scissors and roll it to create a fun deckled look. Give your basic cardstock some pizazz by trimming one edge with decorative edge scissors and layer them together, showcasing the pretty edges. Thanks Jen Chapin for your input on this dying trend. Okay, this is a big one for me because I simply adore ribbon and trims. Whenever I walk into a cute boutique, hobby or fabric store, I always do a sweep to find any fabulous ribbons and trims. However, let me define "fabulous" for you, because not all trims can make their way onto a paper crafted project. If you're still wondering how to use that frou-frou stringy ribbon, then dump it. 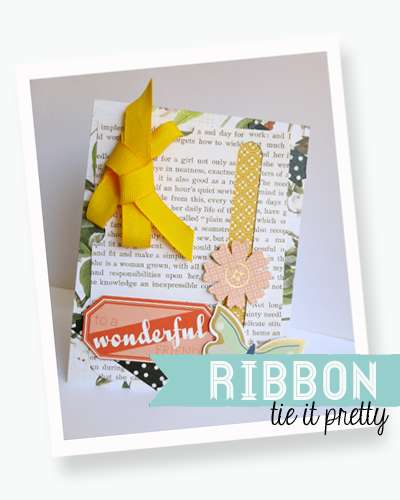 Same goes for trying to make sheer ribbon work on a fun and cute card. Ribbon and trims should complement a project, not over-take it. For this reason alone, I like to stick to using an array of solid colored ribbon, simple twills in various lengths and simple patterns like polka dots. These trims are classic, and not too trendy to be outdated in another year or two, making your ribbon collection last longer. I love the idea of using sewing notions in paper crafting-they look totally adorable, and I use them frequently. But, like some of the trends listed above, buttons are in danger of being over-used in the exact same way. Too many times, buttons are just glued in a straight line to cover a doily that was cut in half. 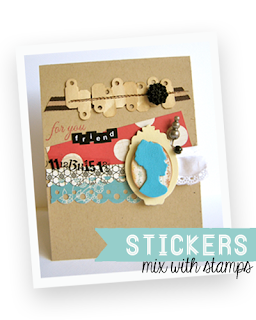 Or, buttons are adhered to a card with a bow of twine through the holes. Now, I'm not suggesting that we entirely banish them from the paper crafting world, but they do need a new purpose. You could add buttons to an envelope and wrap some twine around them to create an "envelope closure' with buttons holding it closed. Or, your could string some buttons with twine to create an adorable little banner that holds pennants and flags! I have to confess, I've been guilty of this too! You get excited because you just bought a ton of gorgeous new embellishments, and you want to use them immediately. But, after four hours of working on one layout where you're inking, painting, distressing and layering all at once, you realize two things. One, how will you fit this into a sleeve protector? And, two, where's the actual photo? While, it's tempting to gussy up a layout, exercise caution in combining too many techniques and layering too many flowers. Not only will the story get lost, but sometimes more is just...more. As a bird owner, I say "no" to feathers! Synthetic or fake! 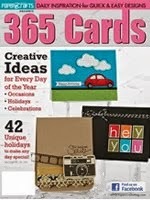 I don't understand why you'd want to add a feather to a card or layout. But, oddly enough---paper crafted feathers and trendy stamped feathers are super cool! Maybe it's because no birds were harmed in the creation of this scrapbooking product. I will admit it. I bought into the letter tile sticker craze! A variety of colors mixed with cute little fonts, which I love, made perfect sense to me. But, the only problem with letter tile stickers is that if everyone uses them to spell out words, they produce the same boring look in all our projects. And, isn't the point of paper crafting to create in your own unique style? Try this instead...layer some tile sticker words over others using foam tape, or you could notch the edges of the stickers to create a "banner" look! Okay, this is quite possibly the most annoying trend that needs to end. Flowers are great! I love them. But, when the flowers is so large that you can't see the sentiment, or you need to mail the card in a box, it may be time to rethink the flower embellishments that you use. Instead of plopping a five-pound flower on your card, consider die cutting flowers or other shapes from fabrics, trims or papers, and layer them together to make a flower similar in scale to the elements on your project. Man, I don't know how the bees got paper crafting manufacturers to mass-produce their signature honeycomb shape, but you gotta hand it to their marketing director! I have nothing against hexagons in general, but this shape has been exhausted in it's use, a total snooze fest. Hexagons need to step aside and make room for the next big trend. It looks like triangles are trying to take center stage, and could be the next up and coming trend. What do you think? Did I miss any trends? Did I get it wrong! Share with me your thoughts! You hit the mark with this post. I agree with all 10. In particular, the font chosen is a make/break moment for the mood you want to create. Playful, classic, or nostalgic--one font can't do it all. Thank you so much for the kind comment! I am thrilled that you enjoyed this new series! I so know what you mean about fonts, they really do set a mood! I go crazy downloading all sorts of styles and designs! Then, it takes me forever to choose one to work with! I don't agree with hexagons needing to go cause I love them and they aren't that old or tired but I love number 5! The designers for Maja designs are AWESOME. But their layouts are massive! I have no idea how they go in an album. And unless they go in a shadow frame, they'd even be hard to put on display! I like that some of the trends you mentioned aren't about getting rid of a product but rather finding a new way to use it. I almost threw my iPhone across the room when you mentioned buttons but when I settled down and read it, yes, buttons are fun to use in new ways. Rebecca, thank you for your great comment. I didn't want this top ten to be a list of do's and dont's, especially if a trend really resonates with a crafter. 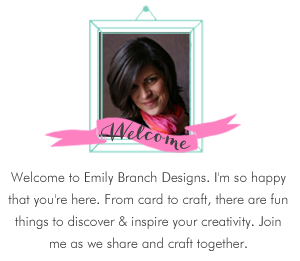 Offering crafters new ideas for their favorite trends is something I feel is important, and a goal of Emily Branch Designs. You had me laughing when you said that you almost threw your phone across the room! TOO funny! Cheryl, I LOVE your enthusiasm. ITA about chevrons!!! I don't know what more you can do with chevrons that hasn't already been done! We need a new pattern! My bird, Mr Green helped me write about feathers, he's not a fan of those either. They're just so awkward, sitting there lying on a page. 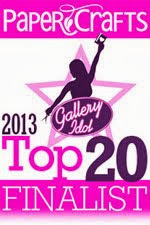 There will be MORE TOP TENS!!! Don't fret! #5 and #2 totally made me laugh, but I have to say I still really love hexagons. Miriam, I like hexagons too! Do you think pentagons or octagons could ever break through into paper crafting? #5 hit it right in the head for me !!! I've see layouts where it takes me 5 minutes to find the photo amongst all the STUFF on the page. I always thought the PHOTOS were supposed to be the focus of the page, not how many embellishments you can cram on the page. That is SO FUN! LOVE it! Thank you so much! I am so happy that you enjoyed this! There are more top tens planned, so subscribe to my blog, and find out when the next one comes out! Love the list, and totally agree! I must admit I still can't throw out those silly decorative scissors though. I'm not sure why I'm so attached to them?? They've been collecting dust since the 90's!! Mary Ann, I love love love my pinking sheers, which I could never get rid of, so I know what you mean about decorative scissors! LOL! Everything comes back in style! I teach middle school, and I have been noticing that styles I wore when I was ten, are now trendy again! So, keep those scissors! Thanks so much for stopping by, and reading! :-) What do you think will step in and take the hexagons place? This is such a great post, Emily! I love all your thoughts...although I have to say that I do love me some hexagons. I totally agree about the "Is it a card or a bouquet" GEEZ some times there is just TOO MUCH GOING ON! Hello, Emily! I agree with almost all of your thoughts...However, I still love hexagons (OK,....I admit...not as much as LAST year...)! My hubby predicted last summer that Pentagon should take the place of Hexagon. Why Pentagon? He thinks Chrysler could have a new use for their logo and BRANCH out to paper crafting(LOL)! Anyhow thanks for the very interesting and amusing article! Lovin' this idea, and agree with other posters that A) it's nice to think of new ways to use tired older products/motifs, & B) I just still can't quit hexagons. :) I'm up for some new motifs though, and am playing a bit more with triangles and wondering what the next repeatable-type pattern will be, we need some fresh ones! Thanks for the great new series, p.s. it was nice to meet you at CHA.